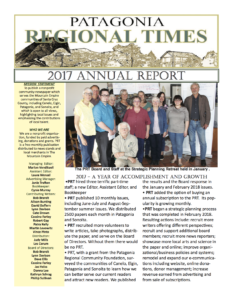 In 2017 we released our first Annual Report. In it we highlight our accomplishments and our financial status. We are very proud of PRT and how it is growing every year thanks to the contributions from our community. We look forward to sharing the 2018 Annual Report with you in the first quarter of 2019!